The third volume in the New York Times bestselling and Eisner Award-winning series iwht contributions from Skottie Young, Becky Cloonan, Dustin Nguyen. Inside the June Alley Inn, located in the Western mouse city of Barkstone, mice from all over the territories gather for food, drink, and stories. A storytelling competition, a tradition of the establishment, takes place with each mouse telling fantastic tales of courage and cleverness, with the hope of being selected winner and having their bar tab cleared by night's end. 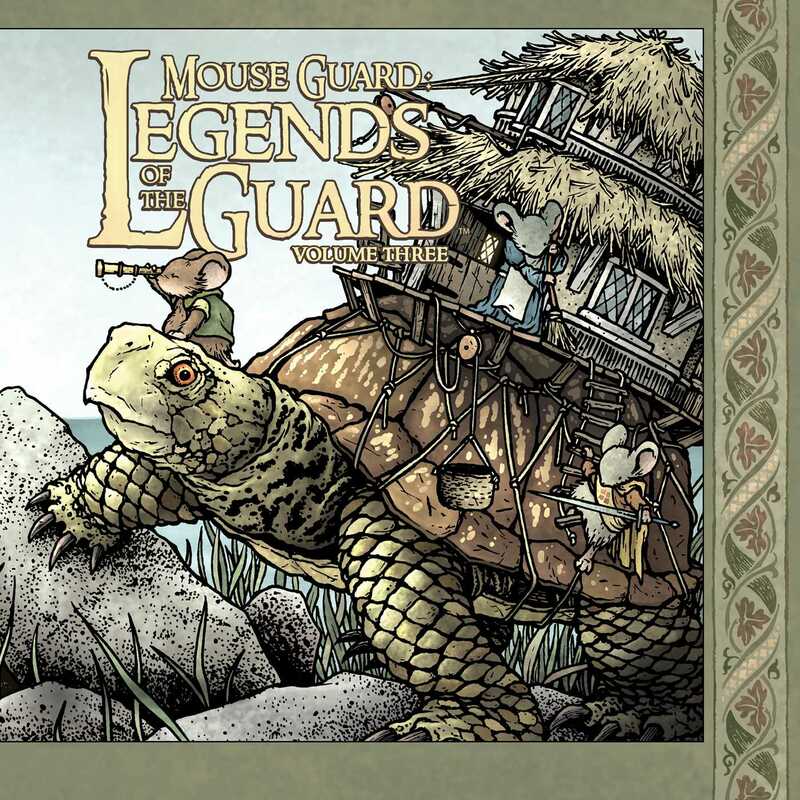 The third volume in the New York Times bestselling and Eisner Award-winning series, Mouse Guard: Legends of the Guard Volume Three features tales written and illustrated by a collection of award winning and critically acclaimed storytellers personally selected by series creator David Petersen. Featuring stories by Skottie Young (Rocket Raccoon, Oz), Mark Buckingham (Fables), Hannah Christenson (Jim Henson's Storyteller), Nicole Gustafsson, C.M. Galdre, Kyla Vanderklugt (Jim Henson's Storyteller: Witches), Dustin Nguyen (Descender), Ramón K. Pérez (Jim Henson's Tale of Sand, Hawkeye), Jake Parker, Eric Talbot, Ryan Lang, Fabian Rangel Jr., Aaron Conley, and Becky Cloonan (Gotham Academy, Southern Cross).